Axiom is ready to GLOW! 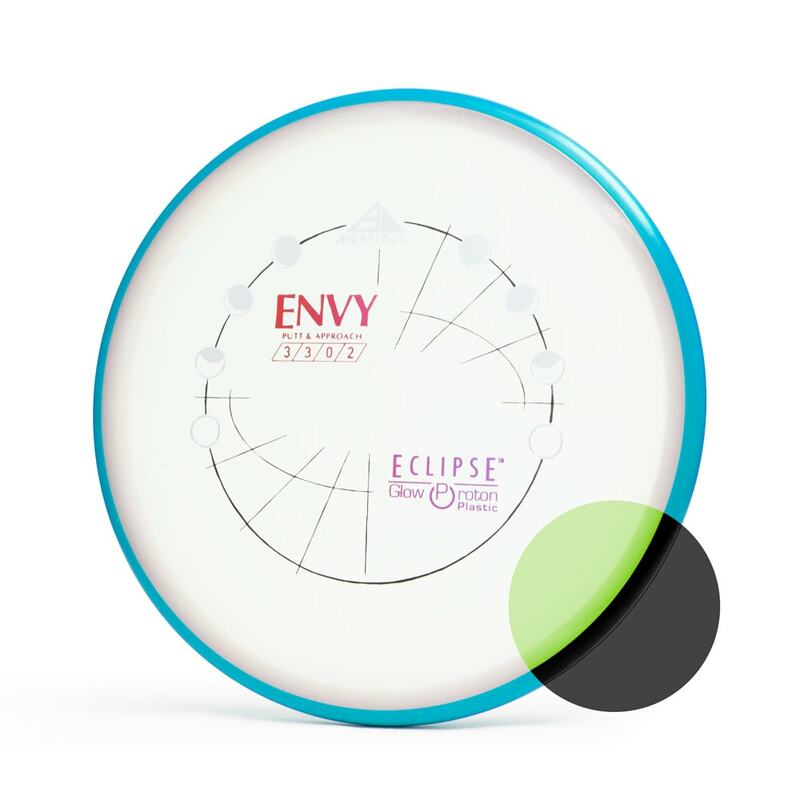 Glow season is upon us and the eclipse has reached the Axiom lineup for the first time with the Eclipse Glow Envy! 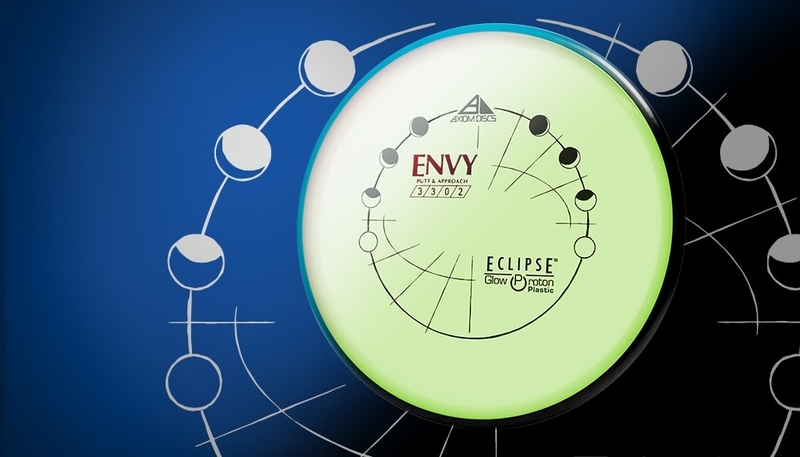 The Eclipse Envy shares its flight characteristics with the Proton variant, being the most stable Envy and a beloved putter off of the tee. Axiom Eclipse features a slightly opaque glow core rather than the glow rim seen in the MVP Eclipse line. The glow core combined with Axiom’s colorful rim creates multiple striking color combinations. Axiom Eclipse plastic has all of the feel and durability of traditional Proton plastic but with a slightly gummy texture and a brilliant bright glow. The 2018 Halloween Special Edition from Axiom Discs is a spooky one by any measure. Feast your eyes on the all new glowing core of Axiom Eclipse plastic on our fan-favorite Envy putter. Now, scream and run — this witch doesn’t just have you under her spell, she herself is possessed by an evil black widow living behind her detached face! Inspired by all things you really don’t wanna mess with, this triple-foil piece by Axiom Art Director ZAM is a treat, day or night. 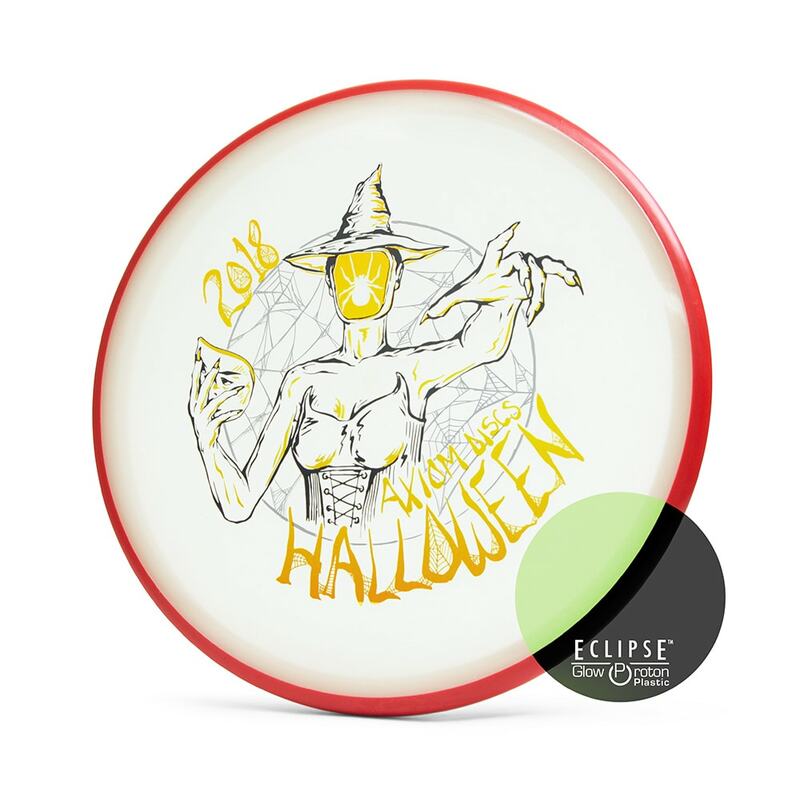 Cast yourself a spell for birdies with Axiom’s Halloween Special Edition Eclipse Glow Envy!